Have you ever been out and heard a mother coach her child with "use your words"? I don't have kids, but whenever I hear this, I think of it like a parent trying to use psychology to prevent a temper tantrum. Anyone that has ever managed people, projects, events, or anything involving a group of people will attest to the importance of avoiding tantrums from everyone involved. The good news is that if you have good communication, there should be no need for a tantrum. If someone knows from the beginning what is expected of them, and knows when they aren't meeting expectations, there's no excuse for screaming or drama. Because let's face it - drama belongs on TV and movies. Life is hard enough without it! 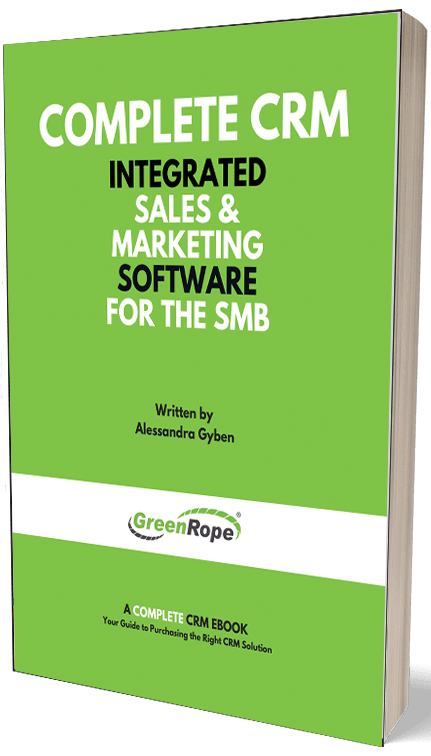 A good friend approached me recently and asked me if there were some key ways she could use GreenRope to help her run her small business. Her team worked remotely, and she needed to be able to make sure issues were being dealt with, and people were getting everything done they were supposed to get done. I came up with 3 ways GreenRope can help a small, remote team work more effectively. 1. Everyone in sales and support enters a CRM activity whenever they do anything with a client. Then on the dashboard, there's the "CRM Activities" column chart that shows the number of activities done by each member of the team. That tells you a lot about what's happening. 2. The project manager is a good way for people to enter their hours and put down what they did, especially if they aren't doing things that will be reflected in the CRM. At the end of every shift, every non-management employee puts in the hours they worked and what they did. In detail - like who they helped, and what they did for the client if they were in support. The development team has to put in what they worked on specifically, and if they hit any roadblocks. 3. Customer service is encouraged to drive customers and leads to use the ticketing forms. Our trial requests and demo request forms are all tickets, so I know the sales team doesn't let anything slip through the cracks. The support team also is encouraged to drive clients and people on trial to use the ticketing forms so no one forgets anything. In the ticketing reports, you can see response times, which is something we talk about when we have our monthly team meeting to go over the company's numbers.